SimWise4D was born when DST acquired a license from MSC Software Corporation to the MSC.visualNastran 4D (vn4D) product. 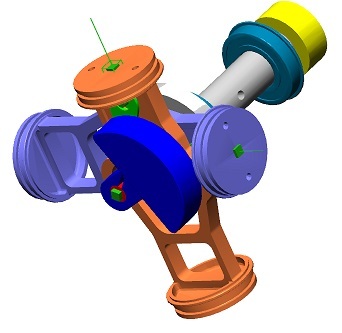 The software traces its roots to the Working Model 3D product developed by Knowledge Revolution, which was acquired by MSC in 1999, extended to include FEA capabilities, and renamed Working Model 4D. It has found tens of thousands of users among engineering professionals, students, and educators. SimWise4D is for design and engineering professionals developing products involving assemblies of 3D parts. With SimWise4D, you can simulate the rigid body dynamics of an assembly, size components, determine part interference and collision response, identify stresses induced by motion, produce physics-based animations and test your control systems. SimWise4D gives you the ability to explore the functional performance of your design before prototypes are built. 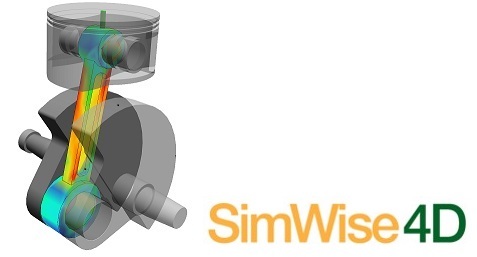 SimWise consists of SimWise Motion, which provides 3D kinematic and dynamic motion simulation and SimWise FEA which provides linear static, normal modes, steady state thermal, and buckling FEA analysis. Each of these products can be purchased and used separately. SimWise4D is the combination of SimWise Motion and SimWise FEA resulting in one seamlessly integrated mechanical simulation product. SimWise Motion is rigid body kinematics and dynamics simulation software that lets your build and test functional virtual prototypes of your designs on the computer and simulate the full-motion behavior of those designs. 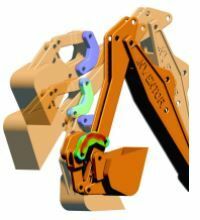 It imports geometry, mass properties and constraints from your CAD system and allows you to add motion specific entities to the model resulting in a functional operating prototype of your design. 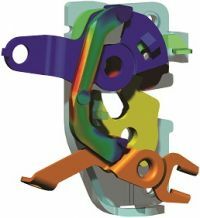 SimWise FEA is a Finite Element Analysis tool that performs stress, normal modes, buckling and heat transfer analysis on mechanical parts. It allows you to add to imported CAD model structural and thermal specific loads resulting in a functional structural prototype of your design. SimWise FEA can display FEA results as shaded contours, deformed shapes, or animations. In addition SimWise FEA also calculates factors of safety and errors in the stress results which can be displayed as shaded contours. SimWise4D contains HEEDS® optimization engine from Red Cedar Technology, which rapidly solves many design alternatives looking for design parameters that meet all targets and criteria. Three things are needed for optimization: parameters (variables to achieve an optimized objective), objective (value(s) to be optimized) and constraints (optimization bounds). If the SimWise model was transferred from CAD system with Design Variables and Dimensions these can be used as parameters, objectives or constraints in the optimization. As the optimization runs, the engine will choose different values for the parameters and run multiple Motion, FEA or Motion+FEA simulations. 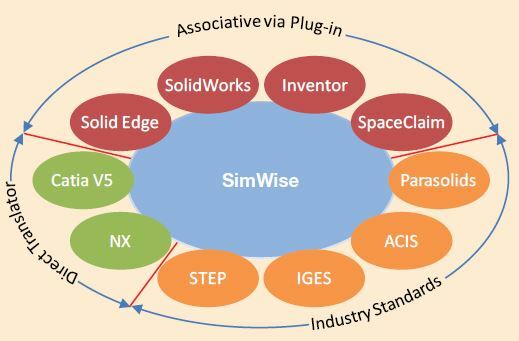 All of the SimWise products are independent of any CAD system. SimWise can directly read files created by Catia V5, Creo Elements/Pro, SolidWorks, Solid Edge, Autodesk Inventor, Siemens NX and SpaceClaim. Additionally IGES, STEP, ACIS and Parasolid files can be read. 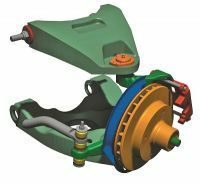 SimWise also provides add-ins for SolidWorks, Solid Edge, Autodesk Inventor, SpaceClaim Engineer and Geomagic Design that transfer parts and assemblies from these CAD systems together with any assembly constraints directly into the SimWise database.